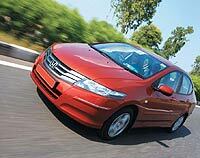 The new Honda City is now sleeker, but is it any better? The Honda City reminds me of a chameleon. Not for the way it looks, of course, because, in its latest iteration, it’s quite a good-looking machine. But, in the manner it has progressed from one generation to the next. It started off, rightly, as an enthusiast’s car—low slung, powerful and with handling finesse that ought to leave a cat looking clumsy. It was expensive, too—both in terms of purchase and maintenance. But as Honda tried to grow its business and sell even more cars, it reshaped the City into a miserly and boring car—a car for the majority, in other words. So, the City became this ugly duckling (can’t figure out why) with a technologically advanced engine, and fuel efficiency that had the stingy swooning over it. To no one’s surprise, it sold rather well. In fact, it outsold the earlier version by more than 1:2 on a monthly basis. And now, it has— metaphorically— changed its colours once again. New, new looks: Plastics lack the sheen, but steering talks and how! Today, the City is a more powerful animal altogether, producing 118bhp, and managing the 0-100kmph sprint in 10 seconds flat, which is quicker than the original as well. And, if it weren’t for the limiter kicking in, it would have managed a top whack of 200kmph, which really is quite commendable for a car in this class. Handling again is very good. Sure enough, being front wheel drive it does understeer, but it’s more controllable and predictable, and it’s quite stable in a straight line, too— abilities which were conspicuous by their absence in the previous generation car. The steering is better weighed on the new one and is a lot more talkative which allows the driver quicker, more precise responses on the limit. The gearbox again is fantastic to use—the shifts are positive and require very little movement of your wrists. However, all is not well with the new City. It seems that Honda takes the adage “one can’t have everything” quite seriously. For all its shortcomings from an enthusiast’s point of view, the older City did have a few aces up its sleeve—the fit and finish and quality of its interiors were top class. The new one, though, is comparatively lacklustre—the plastics inside look cheap and they don’t blend well with each other either, something you don’t expect in a car costing close to Rs 10 lakh. Thankfully, the new City is a pleasure to drive. The enthusiasts will fall in love with it all over again, and the miserly won’t be too disappointed either. As for the discerning lot, well, they won’t be too happy with the way the insides have turned out. But, if I were Honda, I would rather look at the brighter side—an astute bunch is impossible to please in any case!